Peter Suber’s Open Access book is now freely available under an open-access license | O'Really? 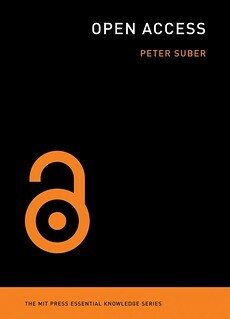 If you never got around to buying Peter Suber’s book about Open Access (OA) publishing  “for busy people”, you might be pleased to learn that it’s now freely available under an open-access license. We also want access for machines. I don’t mean the futuristic altruism in which kindly humans want to help curious machines answer their own questions. I mean something more selfish. We’re well into the era in which serious research is mediated by sophisticated software. If our machines don’t have access, then we don’t have access. Moreover, if we can’t get access for our machines, then we lose a momentous opportunity to enhance access with processing. Think about the size of the body of literature to which you have access, online and off. Now think realistically about the subset to which you’d have practical access if you couldn’t use search engines, or if search engines couldn’t index the literature you needed. Information overload didn’t start with the internet. The internet does vastly increase the volume of work to which we have access, but at the same time it vastly increases our ability to find what we need. We zero in on the pieces that deserve our limited time with the aid of powerful software, or more precisely, powerful software with access. Software helps us learn what exists, what’s new, what’s relevant, what others find relevant, and what others are saying about it. Without these tools, we couldn’t cope with information overload. Or we’d have to redefine “coping” as artificially reducing the range of work we are allowed to consider, investigate, read, or retrieve.